Defender Adam Hlousek is in NYCFC’s sights. New York City FC are in the process of preparing for the stretch run. Having dealt with several injuries to key players so far in 2018, Claudio Reyna and the rest of the front office are looking to bring in reinforcements for the playoff push. Yesterday, news emerged that the team was close to signing former Girona captain Eloi Amagat through December with an option for an additional year. Today there is news of a new target. Legia Warszawa defender Adam Hloušek is NYCFC’s sights. 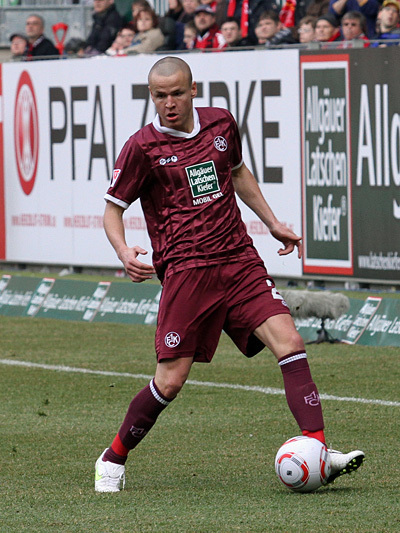 Hloušek is a Czech defender who primarily plays left-back for the defending Polish Champions Legia Warzawa. According to reports out of the Czech Republic, he has interest from two MLS teams, one in Los Angeles and NYCFC with New York believed to be the front runner for his services. Hloušek’s ability to play on the left side of the field will bring another challenger for starting time to defenders Ben Sweat and Ronald Matarrita. The 29-year-old defender would give new manager Domènec Torrent another option should Matarrita continue to struggle with his fitness as he has throughout this season. Legia Warzawa has already started their 2018-2019 season with Champions League Qualification matches already underway and Hloušek has played in all four of his clubs matches so far. Having established himself as a starter for the Polish side, his club will likely not be quick to let him walk away without a fight. The defender is under contract through summer of 2019, which means NYCFC will either have to pay a transfer fee to acquire him or the player and his agent will have to work out a deal with his current club to void his contract so he can leave on a free transfer. Stay tuned to TheNYCFCNation for more updates, live updates can be found on Twitter: @NYCFCNation.